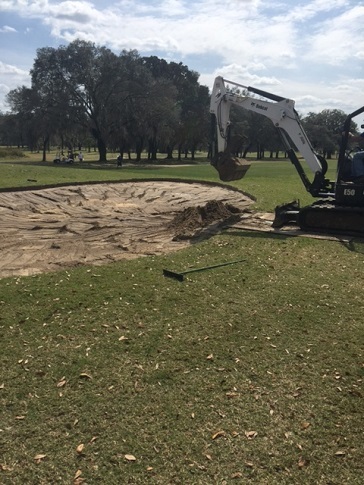 We are excited to announce that today we are beginning a renovation on all 26 bunkers on the golf course. As many are aware, we received record rainfall this summer causing much of the lips, edges, and bunker faces to wash out. 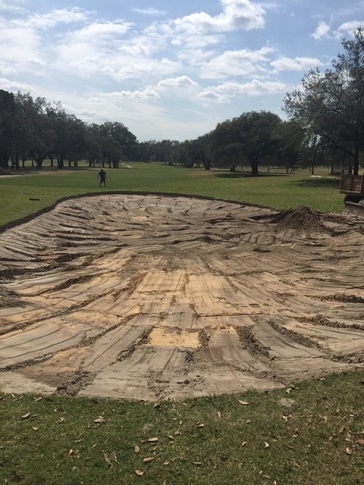 With this renovation, all bunkers will be reshaped along with bunker edges being re-built. Once out on the golf course you will also see some repairs to cart paths as well as drainage repairs. Please excuse our dust for the next few weeks but we cannot wait for everyone to see how great they come out. Be sure to continue to check out The Claw Chronicles for more updates, pictures, and finished product.